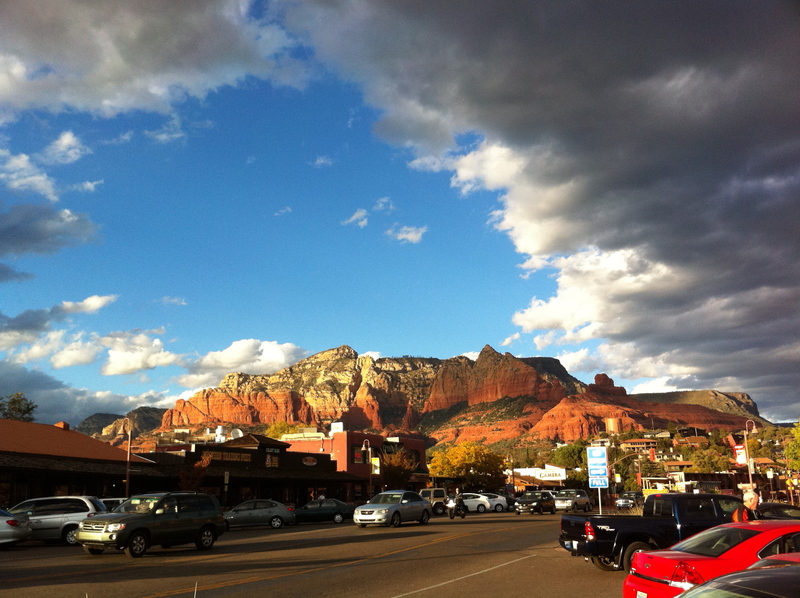 What’s So Mysterious About Sedona, AZ? Sedona, Arizona, as viewed from the plateau where Sedona's airport is located. 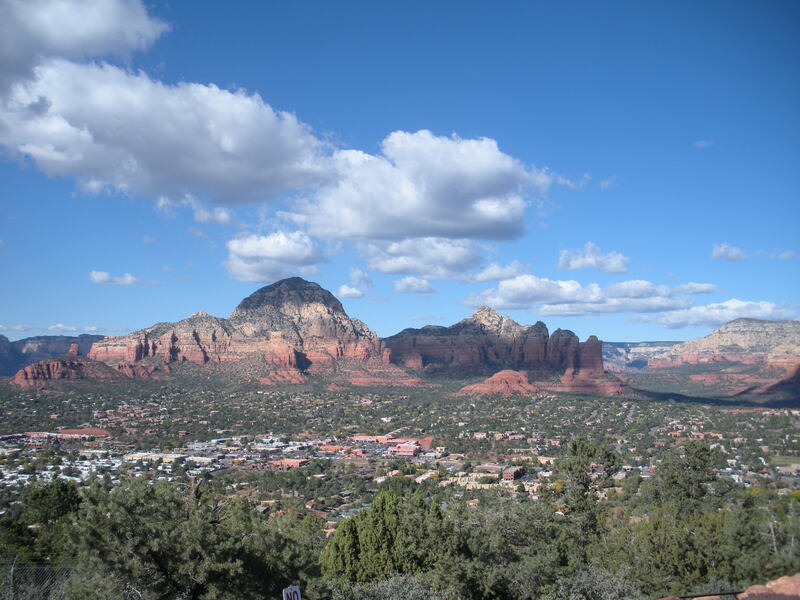 Note: This post is meant to be a combination of a travel journal and a discussion about the mysterious aspect of Sedona, AZ. Please click on a picture if you would like to see it enlarged. 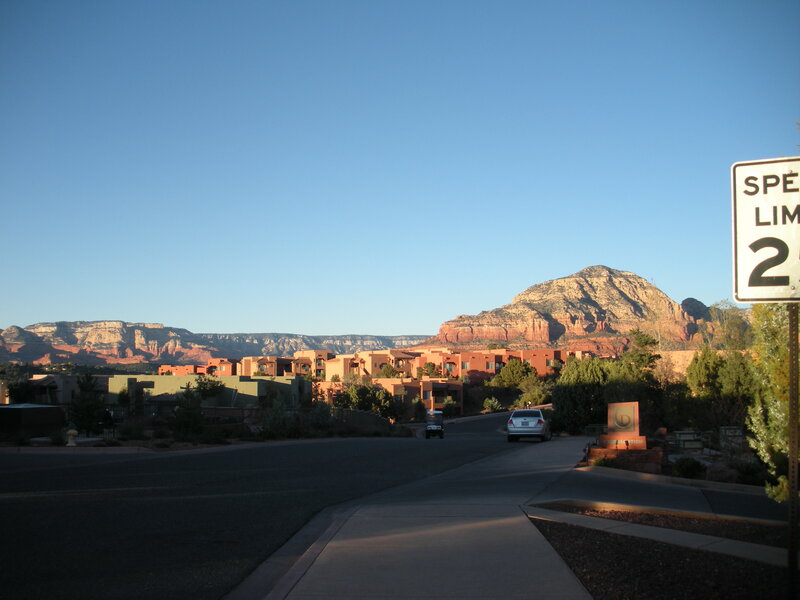 A villa resort, in Sedona, with the picturesque red mountains in the background. That area of the United States is known for its red picturesque mountains and as I discovered, while spending a week in the Sedona area, it’s also known for vortexes. Yes, vortexes and not vortices, is the way the “locals” spell it. So what is a vortex? The way I had used the word, before visiting Sedona, was to describe a whirlwind, whirlpool, or in general, something that swirls and tends to force everything towards a center while swirling around. Possible picture of a vortex. Notice the energy field in the sky. Hurricanes, tornadoes, cyclones, eddies, etc., are examples of vortexes or vortices. In Sedona and the surrounding area, vortexes are swirling centers of subtle energy coming out from the surface of the earth. The vortex energy is not exactly electricity or magnetism, although it does, supposedly, leave a slight measurable residual magnetism in the places where it is strongest. 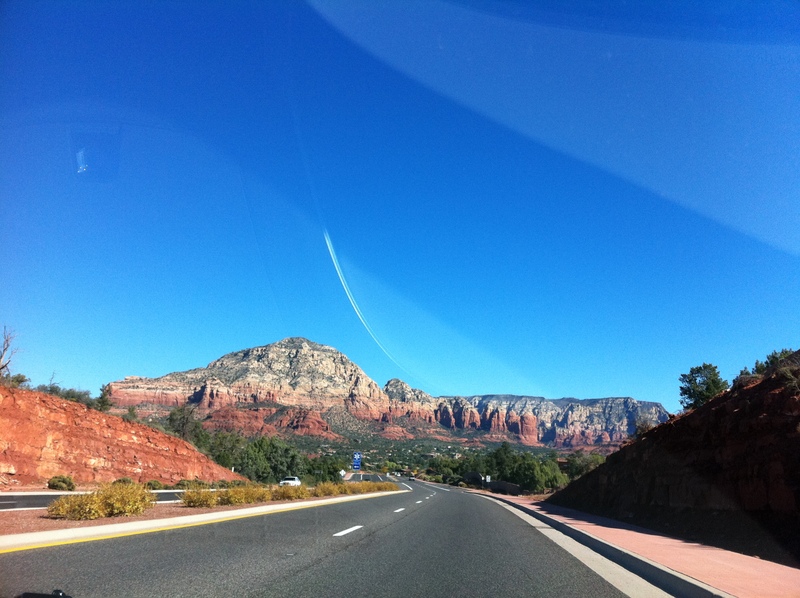 When my wife and I first drove into Sedona, it seemed that every other building had some advertisement regarding mysticism, vortexes, crystals, new age, Native American goods, naturalists, etc. We, like almost everyone else, were in awe of the beautiful natural red-rock mountains. The mystics, Native Americans, new age enthusiasts, naturalists, etc., all consider the area to be a special place for healing and renewal. 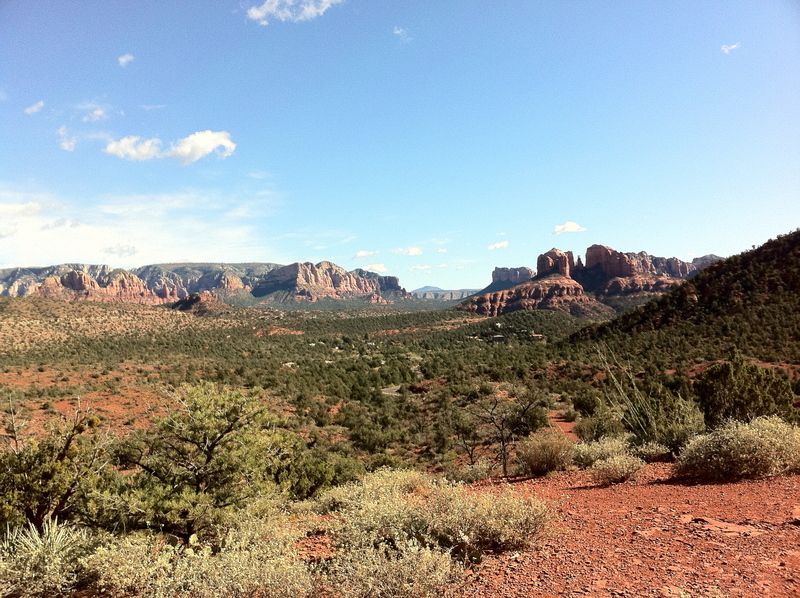 The sacred red rock area of Sedona! 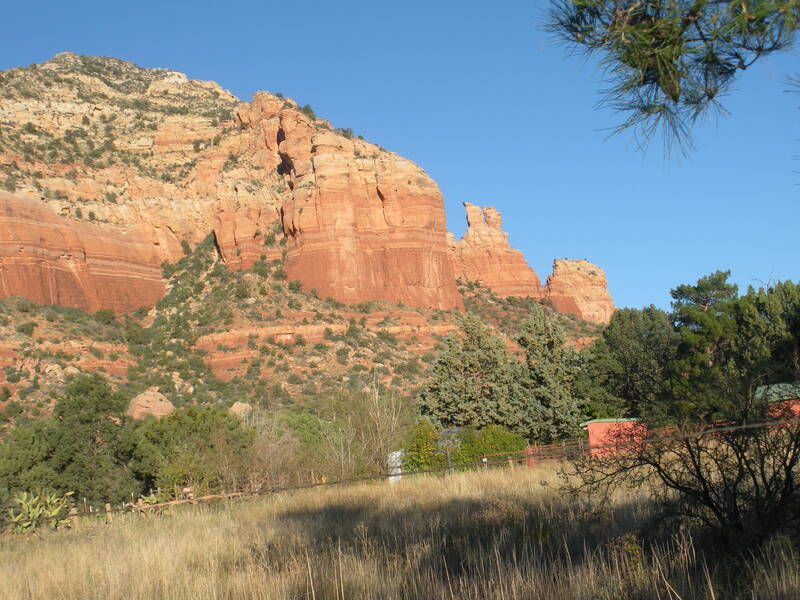 Specifically, Native Americans have both a practical and spiritual relationship with the Sedona area. The land was always respected for the food and shelter it provided, and was also used for spiritual practices. The native people gathered together at the sacred sites they created for ceremonies, healing and to offer prayer. 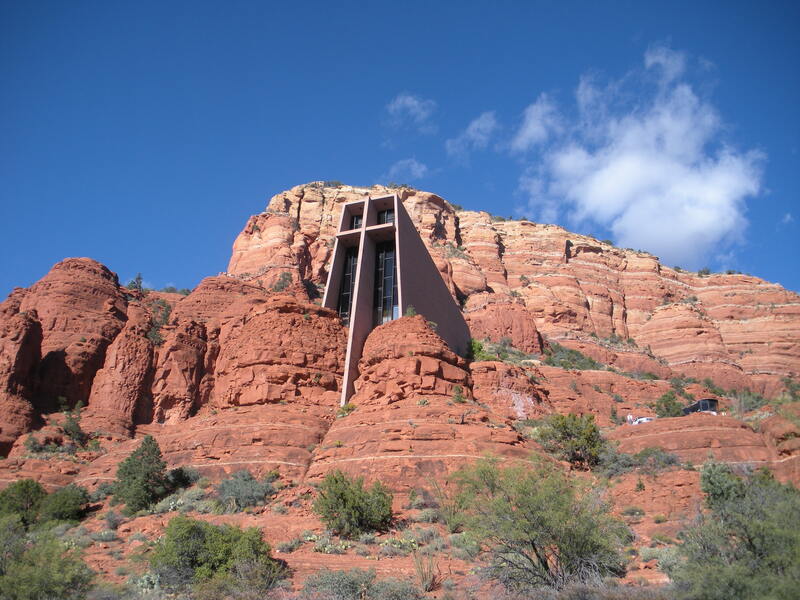 Remnants of these sacred sites can still be found in ruins around Sedona. 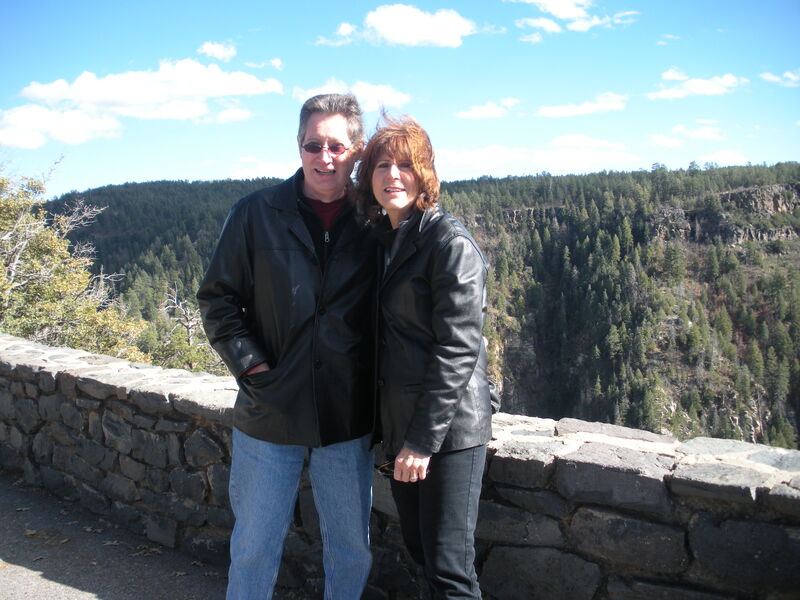 Sedona has also become a gathering place for New Agers, who believe the region emanates a mystical power. My wife, George and the jeep! 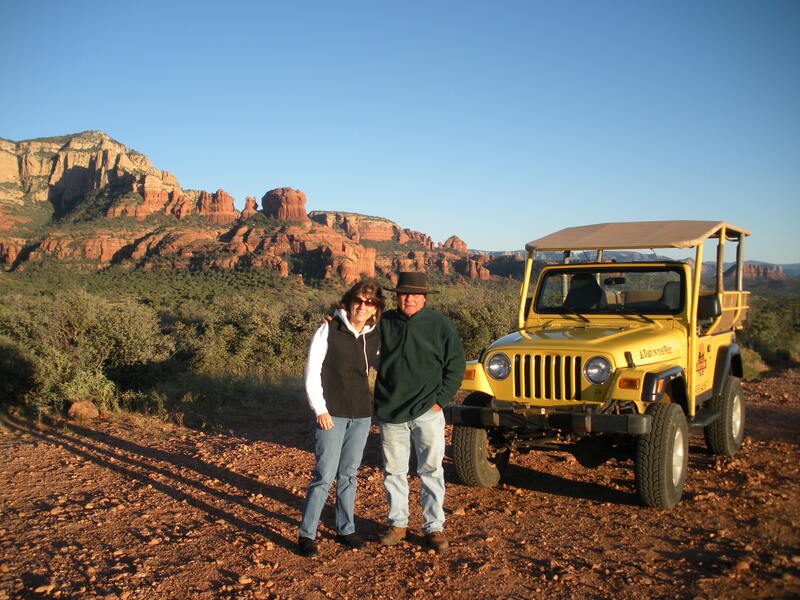 We arrived in Sedona on Saturday evening, and while visiting a tourist information center we signed-up for a two-hour jeep tour of the area. Our guide, George, was a nice sixty-six year old ex-marine who we found to be extremely interesting and complex. George started out by explaining the terrain, how it was formed, why the rocks are red, how the Native Americans valued the area, etc. He explained how the area has been used for many western movies and that John Wayne produced his first movie there. An area near Sedona used for many western films. 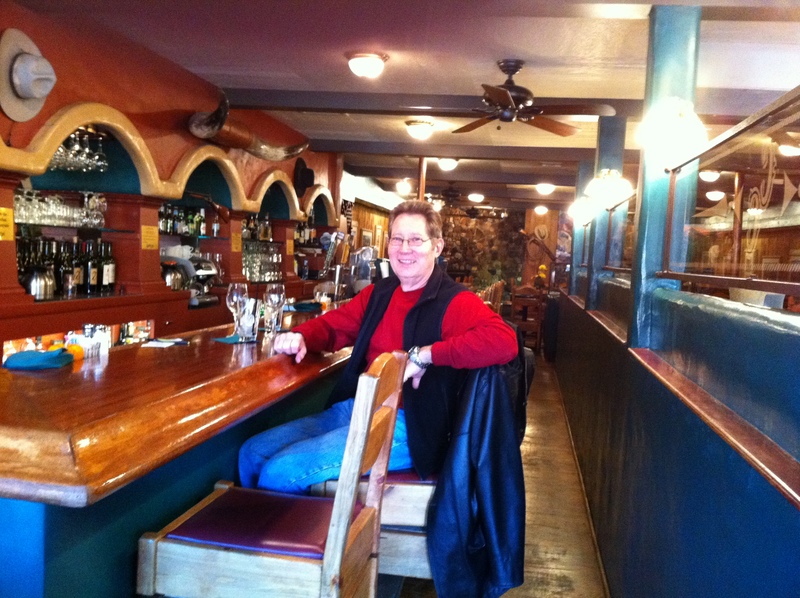 George told us that almost 100 feature films and countless video productions and commercials have been shot either in full or in part in the Sedona area. After showing us a few of the more famous scenic regions and places where a lot of the movies were filmed, he began explaining the medicinal value of many of the plants we were driving by. When, George, our guide for the jeep tour, pointed out the various medicinal plants, we started asking him questions regarding his opinion of their actual value. He then started explaining everything from a much more personal perspective. 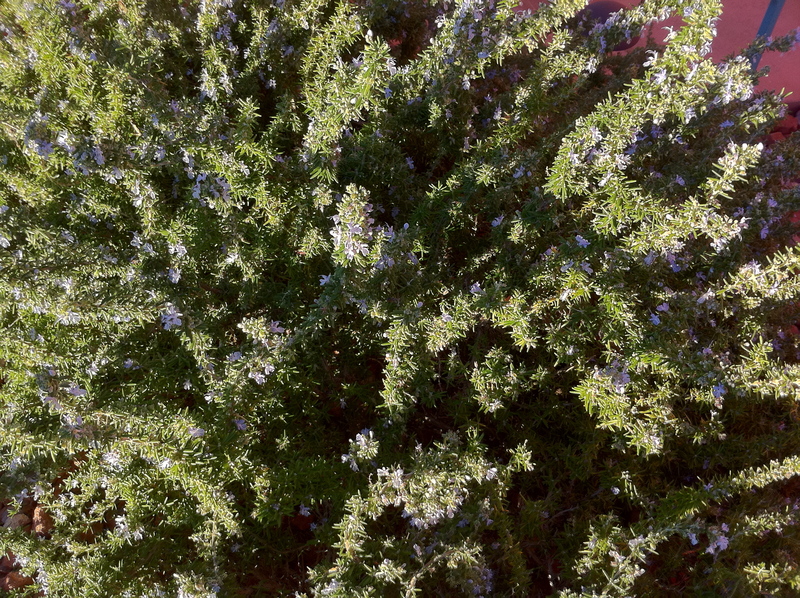 The herb Rosemary - used for stomach upsets, digestive disorders and headaches. George told us that he had, for most of his life, considered himself to be a warrior. Since he had been a marine, that made perfect sense. But, then he proclaimed he no longer thought of himself as a warrior. He had literally had a life-altering experience six-months ago. He went to see his doctor for a regular check-up and the doctor immediately admitted him into the hospital and performed an operation to unclog an artery. During the operation, George claimed he “passed over to the other side!” In other words, he died and then came back to life. He said his doctor had to revive him twice during that time. Church of the Holy Cross. Perhaps, this helped George to "see the light." It’s what George told us next, that I found most interesting. He told us he “saw the beautiful white light, met and talked with his dead father, and then felt a profound sense of calm.” Having this experience, he said, also changed the way he thought about himself and life. It was because of the experience of “dying and coming back to life,” that he was no longer a warrior, but instead, is a peaceful and loving person who now believes fighting is to be avoided at all cost. George was married and divorced twice and since his “death” experience, both of his ex-wives have told him they no longer hate him, but instead love the person he has now become. It was truly, for him, a life-altering experience on many different levels. 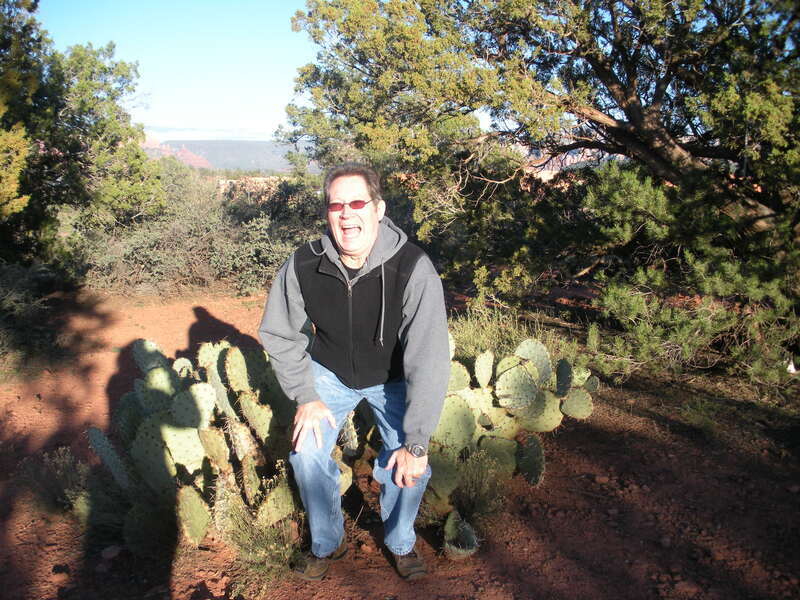 After George returned us to our place of stay, I started paying more attention to the mysterious aspect of Sedona. As we took various trips through the outlying canyons and mountains, I noticed places where people had parked their cars, walked to an open space, laid out a blanket and were meditating. Some of the areas were designated vortexes. 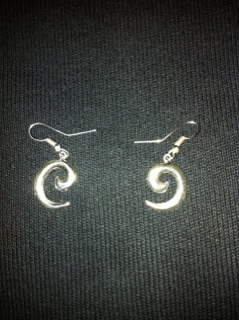 The "swirling" vortex earrings that mean a new beginning! R2 bids you good-bye from "The Cowboy Club" - John Wayne, Jimmy Stewart, Elvis Presley and many others used this "watering-hole" while filming westerns in Sedona. This entry was posted on Thursday, November 18th, 2010 at 1:00 am and is filed under R2, Ron Rogers, vacation, Writing for learning. You can follow any responses to this entry through the RSS 2.0 feed. You can skip to the end and leave a response. Pinging is currently not allowed.